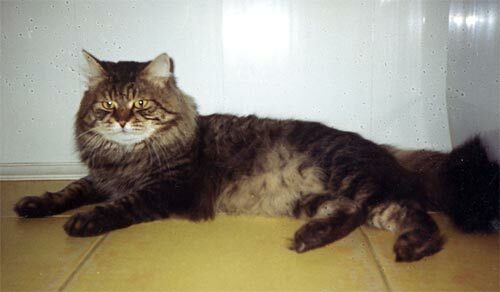 Cashmir comes from Sibaris cattery. He was born in the real Siberia, Krasnoyarsk. The mother of Cashmir is WCF Champion Alaseya Sibaris, daughter of Vesta Valenvic and Khariton Angara. The father of Cashmir is the world famous WCF Grand European Champion Busik. In Cashmir are united best Moscow Siberian lines and classical Krasnoyarsk native Siberians. I thank you all, Arina, Alex and Larissa, for this huge, impressive boy! will be a massive, handsome boy! He will be even bigger than his father Cashmir. is a mysterious, fascinating boy!